Without a doubt, the portion of your application to which admissions officers give the most weight is your high school transcript. Clearly, your transcript is the best indicator of academic prowess and promise. However, admissions committees aren’t simply taking stock of the letter grades you earn. Instead, like a higher ed. Sherlock Holmes, they comb your transcript to uncover deeper insight into your intellectual character. To begin with, admissions officers often analyze transcripts to see if they can identify any trends. Of course, if you successfully achieve straight “ A’s throughout high school you’re in great shape. 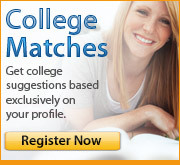 Similarly, a college will also be impressed if they notice a steady rise in your grades. While a bumpy start is certainly not ideal, schools often appreciate those who learn to apply themselves, develop a work ethic and slowly realize their potential. However, colleges will be less enthused if they see a transcript that shows either a steady decline or grades that demonstrate an incredible lack of consistency. Indeed, admissions committees will view these students as merely indolent and idle. Further, they might postulate that these applicants lack drive, determination and discipline. And they are likely to assume that these are not the kind of undergraduates they want attending their university. Similarly, admissions officers tend to not look kindly upon students who take classes as “pass/fail.” It’s simply too easy to view this as a move by a lazy student. Colleges are unable to gauge how well you really fared in the class and how much effort you put forth. After all, the student who turns in “C” quality work passes just the same as the student who hands in “A” quality work. Further, admissions committees also study your transcript to assess the types of classes in which you enroll. Did you register for the bare minimum of courses required to earn a diploma? Did you round out your schedule with fluff classes? Conversely, did you challenge yourself with honors and advanced placement courses? Did you take a number of history electives or test yourself by signing up for a second foreign language? As we’ve said before, colleges aren’t interested in applicants content with merely skating through high school. They seek curious students who aren’t afraid of a little hard work and who demonstrate that they’ll be ready to tackle college coursework. Finally, it’s important to remember that universities consider your entire transcript, not just the latter half of your high school tenure. Therefore, while admissions officers might give more credence to the grades you receive your junior year, they will still consider your efforts from your freshman year. And those grades will affect your GPA. Make sure you start off on the right foot and apply yourself from day one. Just as your personal statement and letters of recommendation tell a story about you, so too does your transcript. Though, on the surface, it might appear to only offer objective, quantitative information, there is much more to be gleaned. Endeavor to make sure it reveals a story you want to tell and a story that makes you proud.